Lace is a timeless fabric. Classic, romantic and feminine – perfect for wedding dresses. There are many types and variations available to the modern day bride. 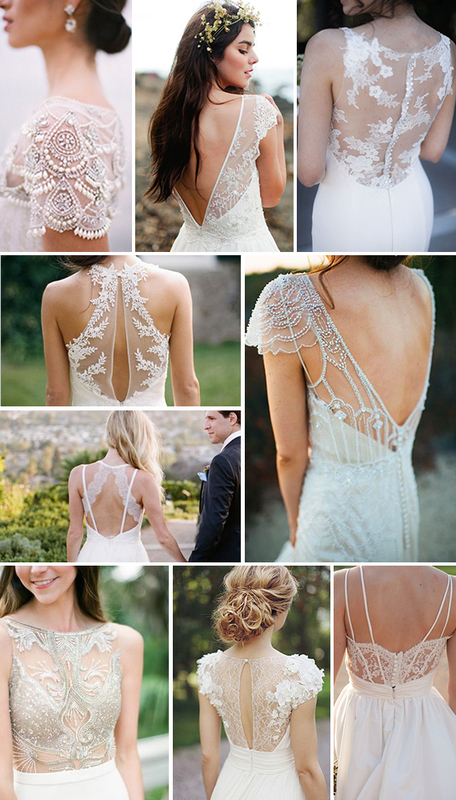 Because lace is such a flexible and versatile fabric, brides can experiment with various designs and dress styles. Keep it simple and elegant by adding little lace details, such as lace cap sleeves or a bit of lace detail on the back or bodice of the dress, or go all out with a soft layered lace gown. Here is some more stunning inspiration. I found some gorgeous rings that match the dress above. One can find matching rings for all their wedding day garments. I have been to many weddings in the past, and the bride is always wearing a dress that doesn’t really match their ring. One needs to think outside the box when choosing the right type of outfit for their big day. I found http://www.rockher.com very helpful in finding the right ring for him or her.